Did you know your pantry is hiding things from you? Ingredients that WANT TO GET ON YOUR HAIR. They want to be smeared and slathered all over your dry damaged locks! I may have mentioned that I haven’t put a single toxic chemical on my head for over 4 years. My motto is “if you can’t eat it, don’t put it on your hair” because it all ends up on the inside. 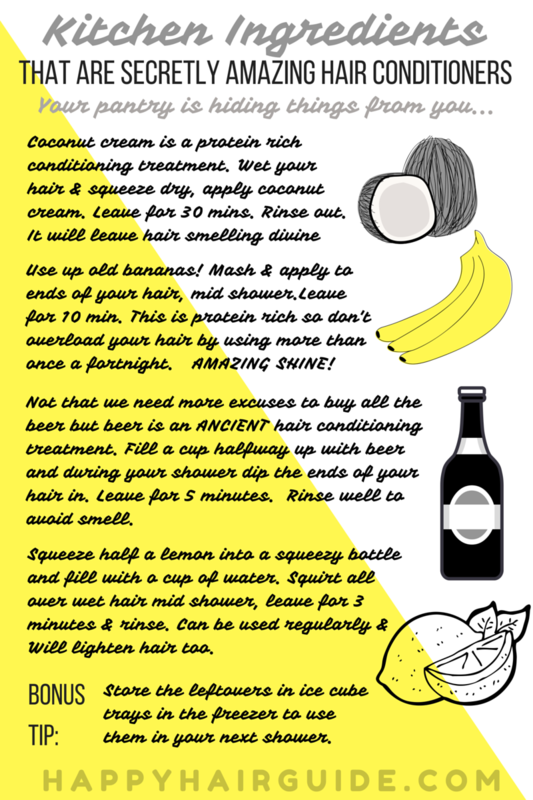 This has led me to discover some pretty amazing homemade conditioner for your hair – and your face, and your tummy! Don’t mean to be gross, but it is pretty incredible to be able to get in the shower with one ingredient and rub it all over my head and my body, and if a bit slips into my mouth ALL THE BETTER! Ha. So here are my top 10 homemade conditioner options. Honey can be used regularly as a conditioning treatment. Simple add a teaspoon into a cup of hot water and let it dissolve. Half way through your shower pour this over the ends of your hair, leave for two minutes and rinse well. Also adds a lot of texture to flat hair. Depending on how porous your hair is it MAY still be sticky. If so, avoid. Oh! I am such a fan of egg! As a shampoo and a big time shiner egg is the business. 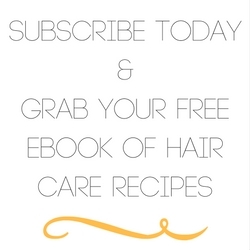 It should be simple – whip it up, place on hair. But there are a few secrets to it. Namely; USE COLD WATER! 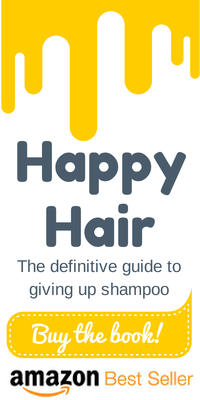 Please see my guide to applying egg as a shampoo here. There is always one, eh? One old brown banana left in the bowl! Well, if you are not a baker, mash it up and stick it on your hair mid-shower. 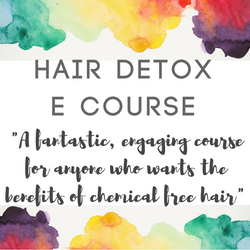 It is a hugely deep conditioner for your hair (in fact you may need to use an alternative shampoo and a brush to get it all out… forgive me) but it is worth it. With all the properties of coconut oil – anti fungal, anti bacterial and VERY MOISTURISING, but without the intensity of a deep oil conditioning treatment, coconut cream can be used quite regularly on your hair. Massage a table spoon in to your ends. leave for five minutes and rinse well. Get the beers in! Such a classic homemade conditioning treatment, it has been used basically forever. Dip the ends of your hair into a cup of it mid shower and rinse well. Shine and strength right there, my friends! Particularly great for the blondes here (it will keep lightening your hair) is lemon juice. It works by flattening down the scales on your hair shaft, it will tackle fly aways and tangly hair. Squeeze half a lemon in a cup of water, decant into a squeezy bottle and squeeze all over your hair during your shower. Rinse well. This is intense, my friends, INTENSE. 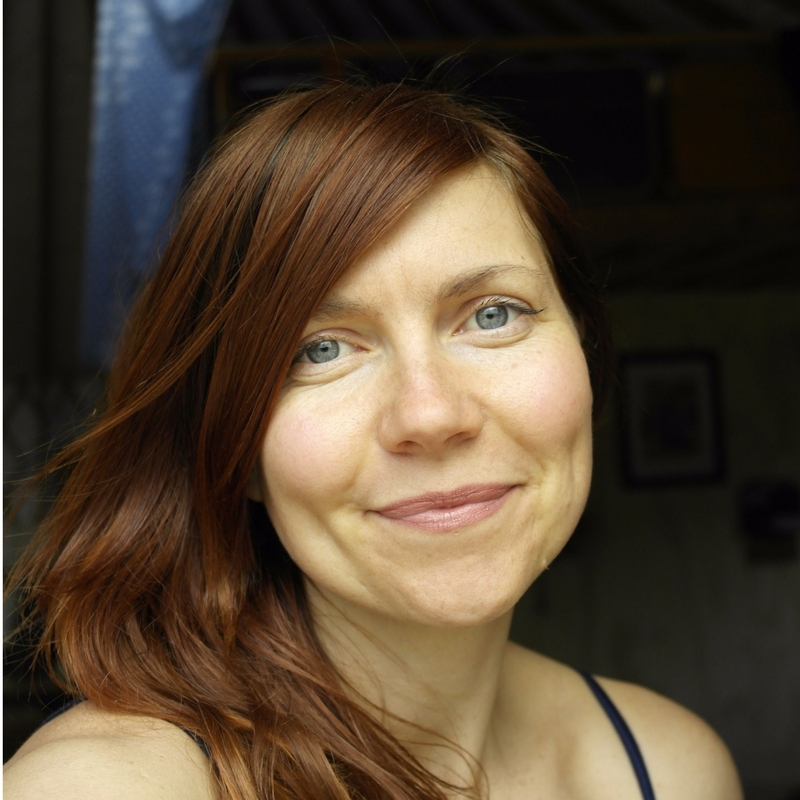 But I do this once a month (if I can be bothered) and it is such a deep, deep homemade conditioner for hair of all types and I think it is the key to making a shampoo free life work in a healthy, shiny way! Rub the coconut oil onto your dry hair, as much as you need, and then pin up. Wrap in a towel and GO TO SLEEP. Seriously. Do it over night. Or at least 4 hours during the day. When you come to wash it off hop in the shower and get as much out as possible just by using hot water and squeezing. Then take the yolk of 3-4 eggs and cover every strand of hair with the yolk. EVERY STRAND. Leave for ten minutes. Wash off with cold water. LOOK AT YOUR HAIR! IT HAS NEVER LOOKED SO AMAZING HAS IT?!! Let’s finish on a real simple one… add a desert spoon of maple syrup to a cup of warm water and pour onto hair mid shower. LOVELY. Although I shan’t be doing it because I am a cheapskate and maple syrup is WELL EXPENSIVE. Perfect for Canadians. If you are feeling a little bummed out that you don’t have to make potions then go right ahead – mix them together and come up with your own perfect combinations! Would LOVE to hear which of these is your favourite!